"Some are dead and some are living. In my life, I've loved them all." Many Beatle songs have touched the lives of so many different people. Their tunes may have lifted our spirits and their lyrics, touched our hearts when we're feeling low. "In My Life" was a song written about all the past friends and places the Beatles once knew. "Some have gone, and some remain." 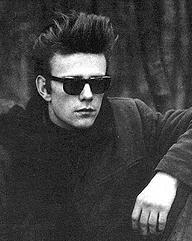 But whenever I hear that one line - 'some are dead and some are living' - there is one reoccuring thought about who John was really singing about: Stuart Sutcliffe. My interest of him really began when I reviewed some old photographs of him. He really stood out amongst the young band. 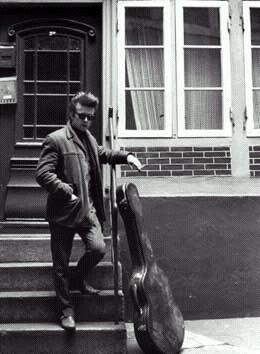 His hair was greased back in an Elvisly fashion, and he wore those dark sunglasses that portrayed a James Dean look within him. There was just something about him that was so compelling. I researched this fellow, Stuart, and there was a lot to know. Born in Edinburough, Scotland, Stuart was raised in a very artistic enviornment. He had a sister, Pauline, who loved him dearly. 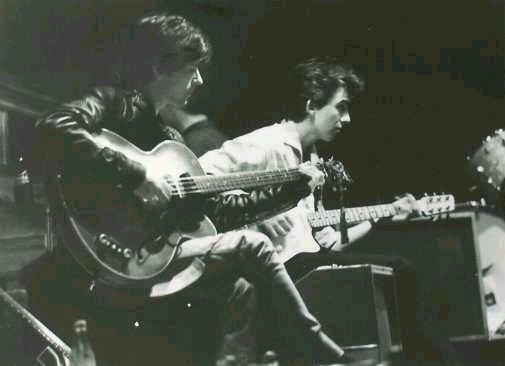 Stuart enrolled in the Liverpool College of Art where he met John Lennon and the two became inseperatable. The rest became history. 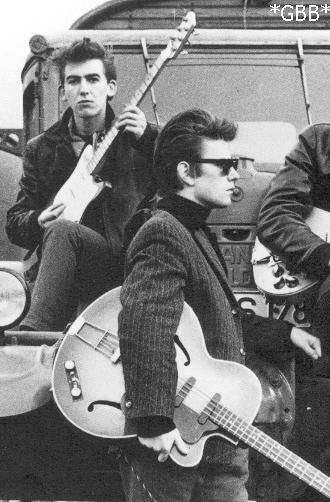 The story of him joining the band, and ending up leaving it to be with his love, Astrid Kirchherr and pursue his other love of painting. Then, his tragic death at age 21 in April 1962. He died in Astrid's arms. Some say that Stuart would have been one of the greatest artists of our time had he lived. He had an extroadinary talent in his paintings. He liked working with red and black, using different medias. Stuart dressed in a very stylish artist fashion. 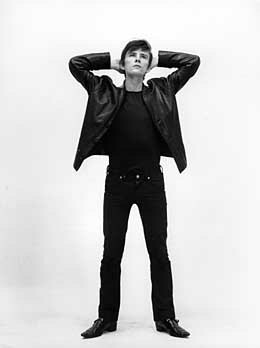 He wore tight jeans and a lot of black tops. He has been seen wearing dark framed glasses but then again, without them. Stuart had the most photogentic look to him that was beyond compare. At one point when Astrid cut his hair, he brushed his bangs in his face, and with his dark eyes and light spray of freckles, no camera could create a bad picture of him! Besides a handsome appearance, Stuart had other arousing characteristics. 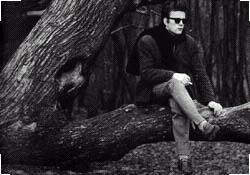 He was such a tranquil man. So soft and caring. He and John were complete opposites but loved one another. Stuart was perhaps a little shorter than the others and just smaller-framed. 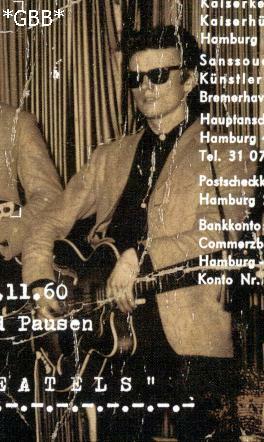 He once said he hated brutality, and he had been exposed to it all in Hamburg, Germany back in 1960. Stuart never wanted fame and fortune, like John and Paul. He wanted to marry Astrid, as first priority. Stuart and Astrid were very much in love. It was an instant attraction from the start, even though she spoke little English, and he, little German. But their love was so heartwarming, and ending, so tragically. The other thing Stuart wanted was to continue his artwork and be an accomplished painter, which he was. 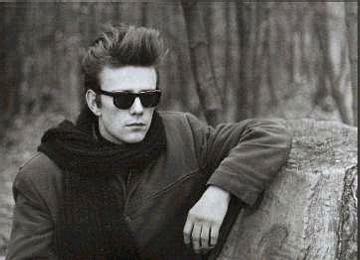 I will never forget Stuart Sutcliffe. It brings tears to my eyes just to read about his passing; he was so young, so hopeful, and so innocent. Sadly enough, Beatle fans today are still naive there was a fifth Beatle who had a story to tell and who never had a chance to tell it. But Stuart's artwork will live on; he became more recognized after the release of the based-on-a-true story movie, "Backbeat". This movie was beautifully written, very accurate, and helps people understand Stu. Exactly forty years ago today, we not only lost an ex-Beatle and exceptional artist: we lost a friend. There is a part of each one of us that can identify with Stuart. He was caring, compassionate, considerate, shy, sensitive, and true. Such qualities in a man are admirable and oh, so rare. Stuart lit up our world for 21 magical years...and then he passed. His untimely death would end an era in Beatle history and begin a new chapter of riches and fame. But life would never be the same. If only he knew all the happiness and inspiration his legacy would envoke on generations to come. Here is a man who lived and died many years before I even existed and yet, he has touched my life and left such a deep, and powerful impression on me that will last forever. Here is a man who never knew me personally, but one I can dearly relate to, and one I know so well. Here is a man, who rejected fame and wealth and welcomed love and art. The Beatles' ever-lasting popularity was inevitable...and he knew that. But he still chose Astrid above all else. He pursued his dream, found his one true love, and just at the peek of his youth: perished. On this fateful day in April, I extend my love to Astrid Kirchherr, the love of his life and a beautiful woman. I extend my love to any person who was ever affected in any way by this man. 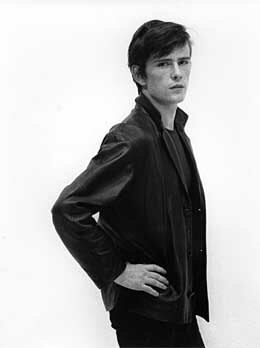 And above all, I extend my love to Stuart Sutcliffe, who lived and died, a beautiful man.